Your wedding is a beautiful and sacred ceremony. It is a public expression of lifelong commitment, and love for another person. During the wedding ceremony, the bride and groom will make a public commitment before God, family and friends, of the beginning of a new and wonderful life together. Enjoy and cherish this time when your loved ones and friends will come together to share in this beautiful occasion. The wedding ceremony recognizes the unity of two people who will begin a new family unit. Your new family unit will provide love and protection, and enable you to achieve your dreams and heart’s desire. This may mean raising a family, starting a career or business, continuing your education or whatever inspiration you may have, and sharing this with your lifelong partner. A new family relationship creates excitement and anticipation for everyone involved. The marriage ceremony represents a change in your old family relationships, by entering into a new and intimate family relationship. This is a sentimental time that everyone at the wedding will want to remember forever. It is important to create wonderful and lasting memories through photographs, video, flowers, wedding party gifts, personalized candles and keepsakes. Bridesmaid, groomsmen and attendant gifts will honor those closest to the bridal couple, especially those who have provided you both with support and love over the years. These are your closest friends and family, and you will want to show your appreciation to them with a thoughtful gift. It is nice to recognize all of your wedding guests for their friendship and support for both of you on this wonderful occasion. Wedding favors are thoughtful, special or personalized keepsakes given by the bridal couple to their wedding guests out of gratitude for their love, and for sharing this very special day with them. The wedding reception is also an important part of this recognition, and will take careful planning and budgeting. You will need to select a convenient location of sufficient size for your reception, as well as the food, drinks, decorations and wedding favors for your guests. An attractive reception location can reduce the cost of decorations for the reception. 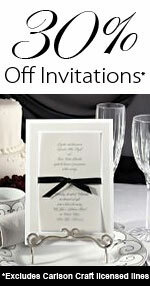 Gifts and recognitions for family and friends are a wonderful way to make your wedding day a joyous occasion. Personalized wedding favors and candles are keepsakes that can be used as table decorations, centerpieces or placed at each guest’s place setting. You can purchase inexpensive, personalized and unique wedding favors, or you can make your own. Wedding favors are an important way to show your appreciation, and create lasting memories for your guests. It is also a way to say thank you to the many people who love you, and who will witness the beautiful beginning of your new married life.